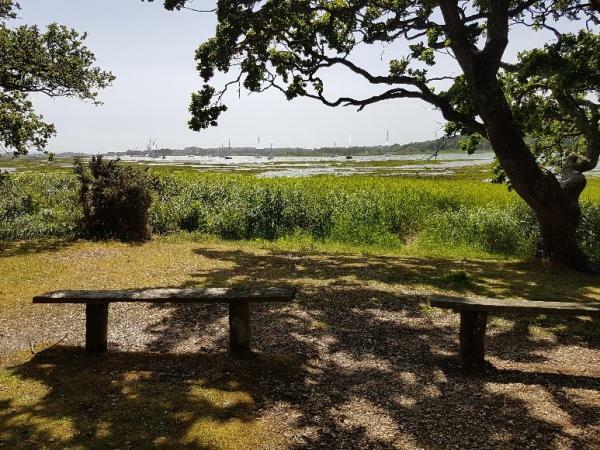 The Winter Garden, so named for the earliest flowering shrubs found there, then stretches down to View Point from where the Isle of Wight can be seen across the marshes flanking the Beaulieu River and where the Arromanches Plaque now rests set in a block of Purbeck Stone. 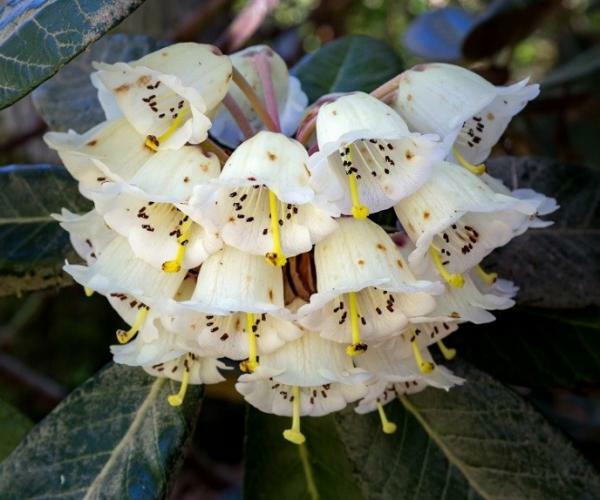 Here many large-leaved Rhododendron ‘Fortune’, with enormous yellow flower heads, grace the woods. The Camellia Walks provide the first floral traits of the year. Whole trees are covered from top to bottom with bloom. The original Camellia Walk skirts the south-eastern edge of Home Wood. The New Camellia Walk, running roughly parallel with it and planted out with many American and New Zealand hybrid camellias and magnolias, provides an interesting contrast in styles.